Our impact on the environment is tremendous and it does not seem to end. 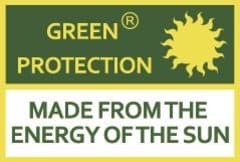 But it can all stop right here at the tip of your fingers with a simple but radical action as choosing a greener protection for your hand, arm and body. What if you started to wear the best safety glove ever designed for you and the world surrounding us? What if this glove would incorporate the most friendly materials and processes to the environment and to your hand? What if not only you but everyone together would join hands and choose a greener protection? Then a dream would come true, a dream of building safely our World for us and the generation to come in the most sustainable way. Please join us and our partner SCHWAN in Germany on this green journey and choose Green protection®!